What an amazing image by Nikhil Sachdeva of a Melbourne tram. 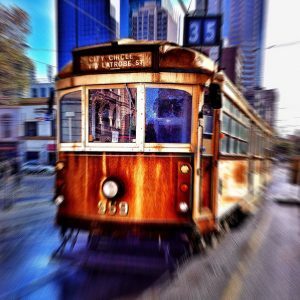 Melbourne’s tram network is one of the largest in the world with more than 178 million passenger trips taken across the network every year. The network is operated by Yarra Trams with nearly 500 trams from eight depots servicing 26 routes as well as the free City Circle tram.